Can someone please explain this to me. Record Store Day was created to get music fans into the record stores. A lot of record labels and bands offer special pressings or artwork for vinyl releases on this day. I realize the first pressing sold out in 3 seconds, but it was a special Record Store Day release. Why sell it months later as digital only. This release was initially intended to bolster indie store sales and was a huge hit. But to then re-release it months later as digital only is going to cause more harm to the indie stores than good. 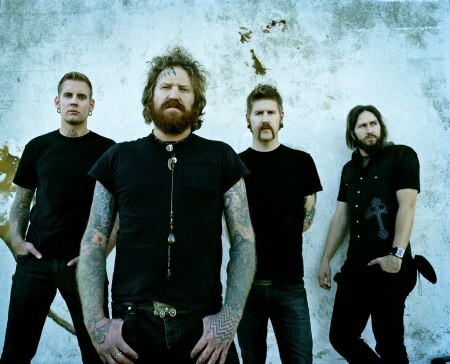 Mastodon and Feist are pleased to announce that they will release a digital version of their popular 7" vinyl single, "A Commotion" / "Black Tongue," today - Tuesday, July 31st via Warner Bros. Records and Cherrytree/Interscope Records. The tracks will be available at all participating digital retailers. This highly sought after release will also include a special Interactive "A Commotion" music video directed by Vice Cooler, and will also premiere today on www.listentofeist.com and www.mastodonrocks.com. The video is launched by an HTML5 "Feistodon" video app that allows users to crossfade between Feist and Mastodon's versions of the "A Commotion" to make their own unique versions. The "Feistodon" split-single was one of the most in-demand exclusives during Record Store Day this past April 21st. It features Mastodon covering the Feist song "A Commotion," from her current highly acclaimed current album "Metals" (Interscope) while Feist covers Mastodon's "Black Tongue" - a track from the Atlanta rock band's critically lauded present album The Hunter. Only 5000 color vinyl 7" singles were pressed up and sold out instantly. Mastodon and Leslie Feist met while appearing on the same episode of UK talk show Later... with Jools Holland last October. They were both so impressed with each other's performances that they decided to work together.